The final seismic shift in Genesis's long and tortuous history came in 1996 when Phil Collins announced his departure from the band. Having negotiated the transition from 5-piece to 4 with Gabriel's leaving in 1975 with only a slight change in musical direction; and from quartet to trio 2 years later, a move which had a massive effect on both the band's direction and subsequent popularity, how would this impact on the sound and future of the group, particularly noting that Collins' charisma, and the strength of his solo work, had had a huge influence on where the band ended up? The two remaining members of the band, Tony Banks & Mike Rutherford, started working on new material and began the search for a new vocalist. Among the contenders for the job were Nick van Eede, from Cutting Crew; Francis Dunnery, from It Bites; David Longdon, who went on to front Big Big Train; and Ray Wilson, from Stiltskin. Any of these would have been suitable, but Banks & Rutherford eventually offered the role to Wilson. This line-up was to record just one album together - 'Calling All Stations', most of which had been written by the time the trio was formed, though Wilson was able to supply lyrics and riffs to a number of the songs. The drumming stool on the album was filled by Israeli session man Nir Zidkyahu and Nick D'Virgilio, then of Spock's Beard and latterly of Big Big Train. 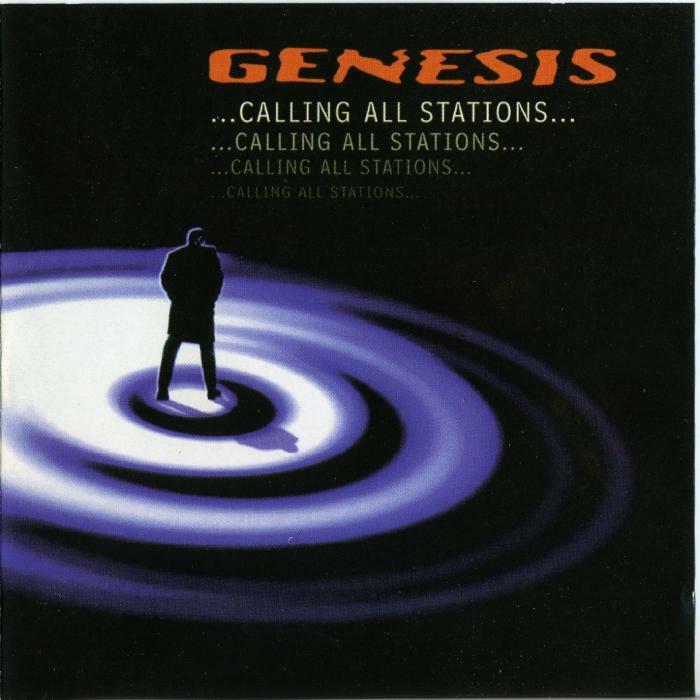 The album opens with the title track, 'Calling All Stations', a rocky number with a steady, uncomplicated beat throughout. Wilson's vocals are deeper, huskier and less strained than Collins's of late and seem to fit the music well, and the guitars, which dominate early in the song, seem to hint at something perhaps a little less pop-y than hitherto. This is a song looking for direction: I'm not sure it completely finds it as it slowly fades out, but a reasonable start, nonetheless. One thing that this album failed to find was huge commercial success, particularly in the USA. 'Congo' the second song on the album, just managed to creep into the UK Top 30 singles chart, and the album peaked at #2 in the UK. It starts with some 'tribal' rhythms, and a verse that appears to have a couple of beats too many in each line. The chorus is catchy enough, though the bridge seems a little incongruous, but on the whole it's 'neither nowt nor summat' as we say in Yorkshire - I just don't get it as a song. 'Shipwrecked' has a bit more structure to it, and of the songs so far it's one I can imagine Collins singing, but there's still that spark missing. "I'm helpless and alone, drifting out to sea" may sum it up, really. It all seems just a little flaccid, and therefore an obvious single. 'Alien Afternoon' opens with some dreamy keyboards, but soon turns into son of 'Illegal Alien', with pseudo-reggae rhythms and and echoes of 'Home By The Sea' - a kind of mish-mash of the worst and best of the band's 80s catalogue. 'Not About Us', the third and final single from the album, is the first song that Ray Wilson gets a writing credit on, and opens with a simple acoustic guitar riff over which the first couple of verses are sung. The chorus has a fuller musical feel to it, and on the whole this is quite a pleasant ballad, giving some scope for the more emotional side of Wilson's voice to show through. 'If That's What You Need' is a standard song - verse, chorus, verse, chorus, bridge, instrumental, verse, chorus - and as such it ticks all the boxes, musically and lyrically: a quiet, gentle, inoffensive love song, which would probably have made a better single than 'Shipwrecked', but is sadly lacking in any kind of nuance or inventiveness. There seems to be a pattern with Genesis albums of the 80s & 90s, in that amongst all the pop there is always at least one little ray of hope that the band haven't completely abandoned their more progressive roots, and here 'The Dividing Line' is the one that makes me sit up and pay attention. The opening 1:55 is so reminiscent of early 3-man Genesis, it's almost as if the 80s never happened!, and that vibe carries on as Wilson's vocals come in. Perhaps the drums are a little more muted than Collins would've played them, but there is a clear 'Duke' feel to this song. The stand-out song on the album for me. 'Uncertain Weather' is a song that kind of creeps up on you. It seems quite tame to begin with, but has a certain depth to it that is quite disarming, telling as it does of the fragility and impermanence of life, and of the significance to some of even the most insignificant of lives: 'He must have had a life, maybe with a family, people who meant everything to him...'. It reminds me of It Bites' 'Map of the Past' in many ways. 'Small Talk' sees Ray Wilson providing the lyrics for the only time, and perhaps that's not a bad thing. The song doesn't really seem to go anywhere, to be honest, and it leaves me feeling 'meh'. Next is 'There Must Be Some Other Way', which launches with some ominous keys, bass and drums - in fact probably the most pronounced bass riff so far on the album (Rutherford seems to have been concentrating on his guitar more). Wilson almost sounds like David Coverdale here, particularly towards the end of the chorus, and musically there is more than a hint of the band's late 80s sound in the instrumental passage (Second Home... comes through clearly for me). 'One Man's Fool' closes the album, and is, in effect, a song of two halves, or maybe two songs knitted together as one. The first three verses and choruses seem to be one entity, and the rest of the song another, though they do seem to be linked with an underlying theme of a search for truth in an increasingly pluralist and uncertain world., and the futility of nationalism & creeds, and war as a tool of enforcing these. A song for our Postmodern age - a far cry from the nymphs and demi-gods of 25 years earlier! As I mentioned above, this experiment in the life of Genesis failed to make a meaningful impression on the important and lucrative US market, leaving tours having to be cancelled and the band having to rethink their future. From 1998 the band effectively folded, and have produced no new material since. As an experiment it showed that perhaps the strength of the band was in the sum of its parts, and as those parts were reduced, so was te creativity of the band as a whole. For me, Genesis's golden age in terms of creativity and pushing musical boundaries was when they were a 5-piece band, and nothing has quite matched the quality of the material that they produced between 1970 & 1974. Perhaps, despite some high points, this was an album too far and Phil's departure should've marked the end point of Genesis, but they carried on, and we have what we have. The trio of Collins, Banks & Rutherford (augmented by Stuermer & Thompson) did have one final fling in 2007, and that will be the subject of my final piece in this series. I hope you've enjoyed reading them as much as I have writing them!